Have something different in mind for your roof? We specialize in custom roofs - call today! When it comes to presenting a unique view to your home, your roof is an easy and oft overlooked area in which you can apply that. Why be stuck with the same looking roof as everyone else in the neighborhood, when you can be unique and implement your own personal style on a large scale. With a variety of colors and materials to choose from, we endeavor to bring you the largest library of possibilities when it comes to styling your roof. For further information, read the sections below or call into our offices today for a more in depth view of our offerings. Sprucing up your home with a little bit of originality will allow you to stand our amongst the neighborhood crowd, not to mention make it easier for people to identify your home if newly coming to visit. This will not only give your home a sense of originality, but give you more of a sense of pride in your home as it reaffirms that not only is it yours, but there is none other in the neighborhood exactly like it. 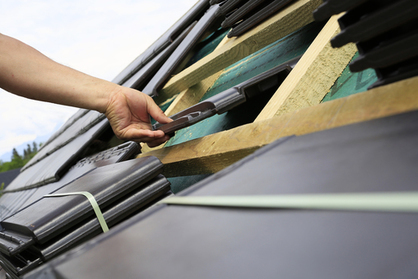 If your preferred look is tin, or metal shingle, Fort Collins Roofing Service has the materials you need. Giving you the highest quality product in our services is our goal. And to highlight that product, we give you an installation done by professionals of the same caliber. Tin and metal shingle roofs give an air of a classic look while updated and upgraded materials elevate it into today, with a practicality that befits our modern standards. For all your metal roofing needs, contact Fort Collins Roofing Service today to find out more about this specific material type and what we carry. Shingle roofing on the surface may seem like a plain suggestion, but today's shingling industry is putting out materials of widely varying colors and texture. No longer a simple brown speckled variety that every home on the block has, your choices have improved a hundred fold in the past few decades. Fort Collins Roofing Service has access to a wide variety of shingling options to bring you a selection unrivaled in the city. For a full view of our supplies and variety, feel free to call in to our offices at any time in order to book a consultation and see what your options are. From granulated roofs, to tar and gravel, if your home has a flat roof, then Fort Collins Roofing Service has the expertise you need to bring the most out of it. Gravel comes in all sorts of varieties, and granulation comes in all shapes and sizes, bringing you a larger selection than ever before. Don't picture yourself stuck with the same old look as everyone else with your roof type. Fort Collins Roofing Service brings you more selection than ever before, to give you that unique look and feel to your home that will make it all yours. 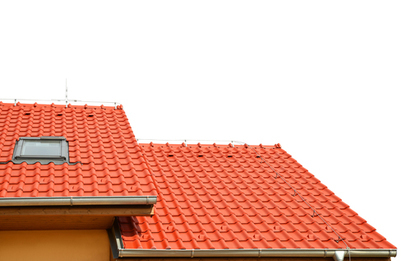 Fort Collins Roofing Service can provide you with any type of custom roofing you may desire! Contact us so we can get your custom roofing started for you and your family!